armed forces, made him Sector Commander of Sector 7. A Sector Commander Remembers recounts the memorable events on March 1971 when Sheikh Mujibur Rahman inspired all Bengalis to fight for liberation, the early months of the war when NOoruzzaman attempted to find a foothold to join the war, and the final months of the war when he took command of Sector 7. In this frank account, Nooruzzaman describes the often ordinary people who performed heroic deeds as well as the young men who became guerillas, knowing full well the risks involved in fighting a professional army which had earlier demonstrated its ruthlessness against its own people. If he describes the failures of others, he does not hesitate to describe his own shortcomings. This volume is an important document of the Liberation War, told from the perspective of.one who actually fought in it. 71 Quazi Nooruzzaman was born on March 24, 1925. He was a student in the Department of Chemistry at St. Xavier’s\ College, Calcutta, when he joined the British Indian Navy in 1943, against his father’s wishes. In 1946, at the call of Jawaharlal Nehru, he transferred to the army. With his family, he opted for Pakistan. He received advanced training at the Royal Artillery School in England. 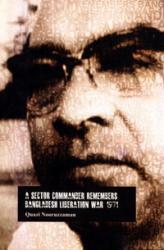 When he returned to Pakistan, the Kashmir War had escalated and he was posted to the Jhelun sector.Industrial Development Corporation) to manage the Naryanganj Dockyard. Finally deciding to retire from the army, he turned to business. Even while in the army, and more so after 1962. Nooruzzaman was deeply involved with progressive thinkers, writers and other intellectuals. At one stage he wrote regular columns in various periodicals, against colonialism and imperialism. He was the primary founder of the Ghatak Dalal Nirmul Committee, against the collaborators and traitors of 1971 and worked to raise awareness about the Liberation Wai’. He was editor of the weekly Nova Pododdhoni. 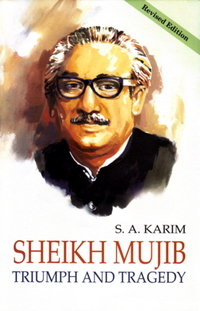 He was the lead editor of Ekattorer Ghaiak 0 Dalaira Kay Kothave (Traitors and Collaborators of ‘71). 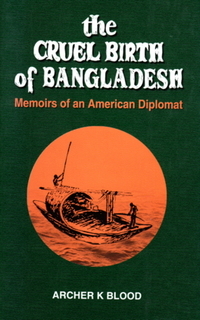 His books include Muktijuddho 0 Rajniti (The Liberation War and Politics), Banglades her Samaj 0 Rajniti (Society and Politics in Bangladesh), and Swadesh Clilnia (Patriotic Thoughts). For his heroic role in the Liberation War, Quazi Nooruzzarnan was awarded the Bir Uttarn. However, he declined the award as he believed the Liberation War was a people’s war and gallantry awards are given to paid soldiers.